Have you seen Lawrence speak? Leave a review. Dr. Krauss is internationally regarded for his groundbreaking research on the origins and evolution of the universe and his stellar record for generating public interest in science through his popular talks, publications, and media appearances. Dr. Krauss is the author of multiple best-selling books, including A Universe from Nothing and The Greatest Story Ever Told… So Far. Dr. Krauss was the founder and director of Arizona State University’s world-renowned Origins Project, and the chair of the Bulletin of the Atomic Scientists, the group responsible for monitoring the Doomsday Clock. Physicist Lawrence Krauss is internationally famous for his research on the origins and evolution of the universe and his push to “popularize” science. Well-known in academic circles for his groundbreaking theoretical work on dark energy, Krauss has also dedicated much of his career to making scientific research accessible to universal audiences, emphasizing the role knowledge and theories play in shaping our perspective of the world around us and the decisions or policies we make. As part of his tenure with Arizona State University’s School of Earth and Space Exploration, Dr. Krauss founded and directed the Origins Project for a decade, a program which became globally known, especially for connecting the public with the latest research on the cosmos and physics. For numerous years, Dr. Krauss also served as a prominent member and chair of the Bulletin of the Atomic Scientists—the group responsible for keeping watch over the Doomsday Clock, a symbol used to depict the likelihood of human-driven planetary catastrophe. Krauss has authored over 300 scientific publications as well as multiple articles on physics and astronomy for mainstream media. Many of his best-selling books, including A Universe from Nothing and The Greatest Story Ever Told… So Far have been translated into more than 20 languages. Formally, Krauss taught at Yale and Case Western University. An acclaimed lecturer, he has been a visiting professor at University of Chicago, Cambridge University, Boston University, University of Zurich, University of California at Santa Barbara, Lawrence Berkeley Laboratory, The European Center for Nuclear Research (CERN), Australian National University, and New College of Humanities. Lawrence Krauss is an internationally known theoretical physicist and bestselling author, as well as being an acclaimed lecturer. He has also appeared regularly on radio and television, as well as in several feature films. He was born in New York City and moved shortly thereafter to Toronto, Canada, where he grew up. He received undergraduate degrees in both Mathematics and Physics at Carleton University. He received his Ph.D. in Physics from the Massachusetts Institute of Technology (1982), then joined the Harvard Society of Fellows (1982-85). He joined the faculty of the departments of Physics and Astronomy at Yale University as assistant professor in 1985, and associate professor in 1988. From 1993-2008 he was Ambrose Swasey Professor of Physics, Professor of Astronomy at Case Western Reserve University. From 1993-2005 he also served as Chair of the Physics Department there. During this period he built up the department, which was ranked among the top 20 Physics Graduate Research Programs in the country in a 2005 national ranking. 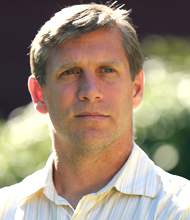 Among the major new initiatives he spearheaded were the creation of one of the leading particle astrophysics experimental and theoretical programs in the US, the Center for Education and Research in Cosmology and Astrophysics, and the creation of a groundbreaking Masters Program in Physics Entrepreneurship. In 2008 he was appointed as Foundation Professor in the School of Earth and Space Exploration and Physics Department, and Inaugural Director of the Origins Project at Arizona State University. During the decade (2008-2018) in which he led the program, the Origins Project became internationally recognized for spearheading forefront research across the full spectrum of scholarly activity through is renowned transdisciplinary workshops, and then bringing this exciting information to the public through its public events, bringing the most accomplished scholars, public intellectuals and celebrities in the world on stage at ASU to discuss topics ranging from the origins of the universe, to human origins, to the origins of consciousness and culture. During his career Prof. Krauss has held or holds professorships or distinguished visiting appointments at institutions including University of Chicago, Cambridge University, Boston University, University of Zurich, University of California at Santa Barbara, Lawrence Berkeley Laboratory, The European Center for Nuclear Research (CERN), Australian National University, and New College of Humanities. Prof. Krauss is the author of over 500 publications, as well as numerous popular articles on physics and astronomy. 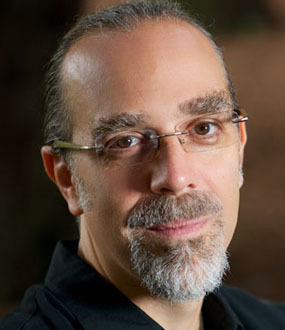 He is the recipient of numerous awards for his research and writing, including the American Association for the Advancement of Science’s 1999-2000 Award for the Public Understanding of Science and Technology, the 2001 Julius Edgar Lilienfeld Prize of the American Physical Society, the 2001 Andrew Gemant Award, of the American Institute of Physics, the 2003 Oersted Medal, the highest award of the American Association of Physics Teachers. He is the first physicist to have been awarded these latter awards from all three US physical societies. 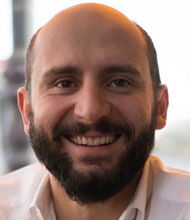 Among more recent awards are included the Helen Sawyer Hogg Prize of the Royal Astronomical Society of Canada and the Astronomical Society of Canada (2009), The US National Science Board 2012 Public Service Award, Roma Award Urbs Universalis (2013), Academia Film Olomouc award for Outstanding Communication of Science (2014), Gravity Research Foundation First Prize Winner (2014), American Humanist Association’s Humanist of the Year (2015), Richard Dawkins Award (2016), and the Freedom From Religion’s “Emperor Has No Clothes Award” (2016). 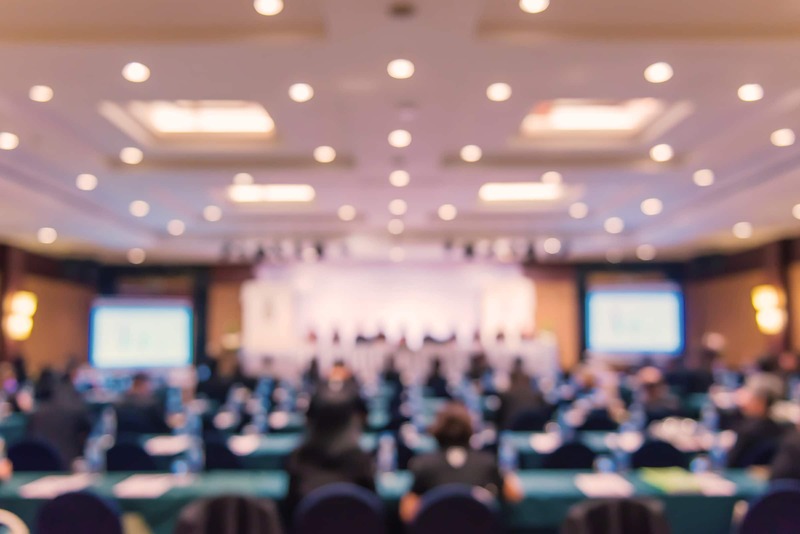 Prof. Krauss is also an acclaimed teacher and lecturer with vast experience in reaching out to popular audiences and has lectured at hundreds of institutions around the world. He has been a regular contributor to various newspapers and magazines including The New York Times and The New Yorker. Prof. Krauss is the author of ten acclaimed popular books, including, The Fifth Essence: The Search for Dark Matter in the Universe (Basic Books, 1989), which was named Astronomy Book of the Year by the Astronomical Society of the Pacific, Fear of Physics (Basic Books, 1993), his AIP award-winning book, Atom: An Odyssey from the Big Bang to Life on Earth…and Beyond, and the New York Times Bestsellers, The Physics of Star Trek, and A Universe from Nothing: Why there is something rather than nothing. His most recent book, The Greatest Story Ever Told .. So Far, appeared in March of 2017. Krauss is one of the few prominent scientists today to have actively crossed the chasm between science and popular culture. For example, besides his radio and television work, Krauss has performed with the Cleveland Orchestra, narrating Gustav Holst’s The Planets at the Blossom Music Center in the most highly attended concert at that venue and was nominated for a Grammy award for his liner notes for a Telarc CD of music from Star Trek. In 2005, he also served as a jury member at the Sundance Film Festival. For all of these reasons and more, Scientific American called him one of the few true ‘scientific public intellectuals”. In 2013, starred in a full-length feature film documentary called The Unbelievers, which follows Krauss and colleague Richard Dawkins around the world as they discuss science and reason. He also co-stars in Werner Herzog’s new films Salt and Fire and Lo and Behold as well as appearing in The Farthest, a documentary celebrating the men and women who built the Voyager spaceship. 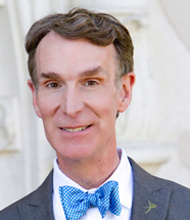 He appears regularly in science documentaries on television and appeared monthly on PBS discussing science issues. He is also producing and writing various television and film projects, in some of which he will appear. In his spare time, when he is not writing, lecturing etc, he enjoys scuba diving, fly-fishing, and mountain biking. In a mind-bending visually rich presentation, famed physicist Lawrence Krauss takes us on a tour through the universe, billions of years of exploding stars, and how these events connect to the very atoms of our body. While Krauss is very adamant that nothing is everlasting in the cosmic long-run, our atoms may be the most permanent thing in our existence. 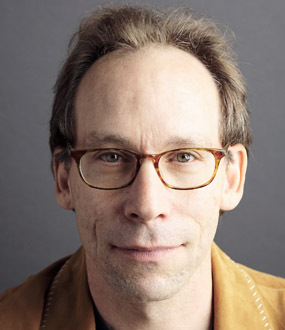 Dr. Lawrence Krauss connects his vast knowledge of science and the cosmos to a variety of topics from public policy to human relations. 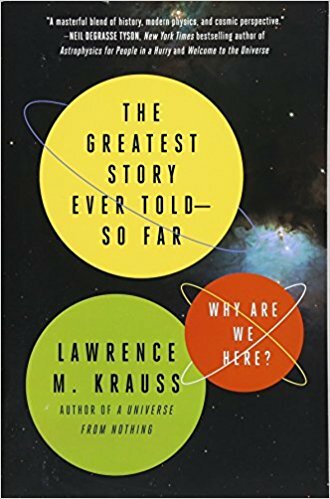 Complemented with awe-inspiring visuals and Krauss’s witty banter, the highly-regarded physicist guides you through space and time to explore the natural forces that govern the world around us, our place in it, and what it means for our future. Even a generation ago, fundamental existential questions such as, ‘How did the Universe Begin?, How will it End?, Are we Alone, and, Are there are Universes?’ , and other less grand but no less interesting questions such as “Do Black Holes Exist?’ may have appeared as forever inaccessible metaphysical questions. Remarkably in the past decade or two, and in some cases in the past two years it has become clear that at all of these are accessible, at least in principle, to experiment and observation, and in some cases we have come very close to answering them, or may do so within the next decade. These remarkable developments, which relate to questions all of us have, whether we are scientists or not, prove that Science Fact trumps Science Fiction every day. The wonder of science as oppose to religion is that we can follow nature beyond the evidence of our senses in an open minded fashion, where preconceptions disappear in light of fascinating new discoveries about the cosmos. Almost anywhere one starts, a grain of sand, a speck in the night sky, if one follows the evidence nature has provided us, new and wondrous hidden realities become exposed. This talk will be a tour of the real river of the sky, our Milky Way Galaxy, to explore what we now know, what we don't know, and what we hope to learn about our home in the Universe. The Greatest Story Ever Told–So Far: Why Are We Here? Perhaps the greatest physicist of the second half of the twentieth century, Richard Feynman changed the way we think about quantum mechanics, the most perplexing of all physical theories. 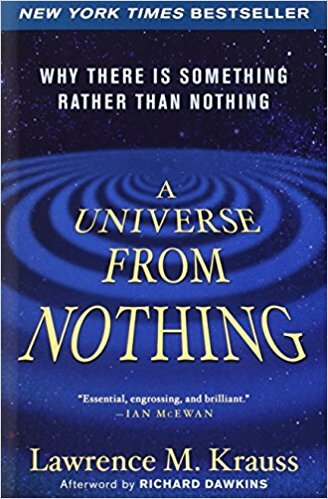 Here Lawrence M. Krauss, himself a theoretical physicist and a best-selling author, offers a unique scientific biography: a rollicking narrative coupled with clear and novel expositions of science at the limits. 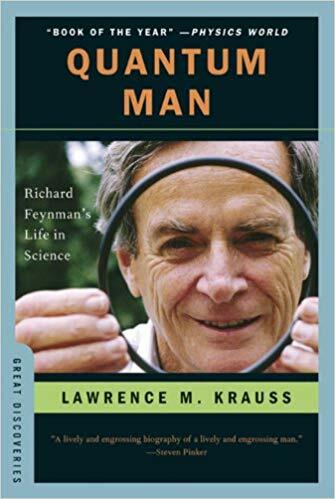 From the death of Feynman’s childhood sweetheart during the Manhattan Project to his reluctant rise as a scientific icon, we see Feynman’s life through his science, providing a new understanding of the legacy of a man who has fascinated millions.